Professional editing that will get your work the attention it deserves. I began my career seventeen years ago working for Amazon as a copy editor and proofreader for BookSurge, their self-publishing company, editing everything from memoirs to cookbooks to literary novels. I am now a contract editor for FriesenPress and well as for private clients and was a marketing coordinator at Caitlin Press, an award-winning publishing house. 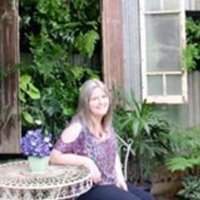 I am a literary fiction writer and have published a novel (Grace River, Brindle and Glass, 2009) as well as numerous short stories in literary journals. My new novel, One Good Thing, was released by Touchwood Editions in April 2018. I asked Rebecca to review a short story of mine where I was at a crossroads at what would make the best plot decisions. She offered me an awesome editorial review that was detailed and supported what she viewed as best. That to me gave me confidence to proceed in the a better direction, which I did. I value her input. Rebecca was wonderful to work with. This was my first experience working with an editor and Rebecca was professional, knowledgeable, and ready to answer any questions I had. Her work and insight brought my story to life. I have no hesitation in recommending her services to any author. I love the ideas and constructive criticism that she input into my manuscript and the time and passion for my work. I would love to work with you on my next books. I really appreciate your time and effort to make my book amazing. Thank you so much. Collaborative development editor specialising in all things non-fiction. Worked with bestselling authors at Little, Brown and HarperCollins. I approach each manuscript from the reader's perspective, and feel a sense of responsibility toward every project, big and small.